Doing business is easier when you know people. Each of our events bring different demographics of business owners and managers as well as industries. You choose what best fits your needs and we’ll help to develop and strengthen your connections . Whether it’s making new connections or solidifying established ones, or maybe you want to offer or receive advice; The SRCC has the networking events for you! Check out our Calendar of Events for all dates of Chamber Networking Activities. 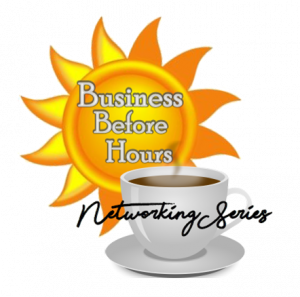 Chamber Members are always welcome to attend this free networking group and bring a guest! Not a Chamber Member? That’s ok! We invite you to attend once or twice and get to know us. Professionals from all industries come to meet new people and talk about what’s new with their business or charity. There is no cost to attend and food/drink are separate checks. No RSVP is necessary. If you have things to pass out like flyers, we ask you arrive a few minutes early to place at each place setting. Everyone gets :60 seconds to introduce themselves. At the end of the introductions, we break into discussion about a relevant business topic. We also have a shared business card binder to place your cards in and take out others of interest. We have TWO Meetings to suit your schedule! Each quarter join us for The Exchange. Lunch is served as groups discuss relevant business topics posed by a moderator. You can participate as much as you like. Perhaps you want to pose a question of your own for some ideas or a solution to something another business owner understands. 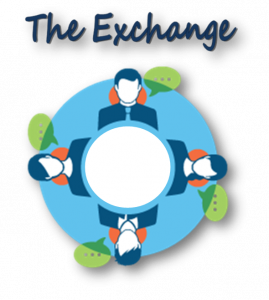 Build relationships, swap ideas, get solutions or give advice at The Exchange. Sessions are held quarterly. Mix and mingle from 8:30am – 9:00am while you enjoy coffee & breakfast. Promptly at 9am you will take your seats and enjoy the speed networking portion of the morning. You do not need to be a Chamber member to attend; Everyone is invited to join us! All are welcome, only $10 per person! Join us every 6-8 weeks for Business After Hours! Our Chamber Member businesses host an evening of appetizers and beverages at either their place of business or another Chamber Member’s place. Our locations have varied from facilities to offices and patios to the beach. Enjoy sneak peaks at new things coming to town like when we hung out at an ice bar and cooked smores by camp fire at the Fairgrounds. Always a good time with great company! All our After Hours are from 5:30 pm-7:30 pm. Chamber Members and a guest are free! Future Members only $10. All are welcome to join us!